By registering with Atlas Professionals you will gain total access to vacancies that are not advertised by other Agencies. This offers you career opportunities to work for top National /International Companies or Corporations that we have exclusive agreements with. Our friendly and professional consultants will take the time to fully understand your particular requirements, and ensure that we guide you through the recruitment process whether you are looking for to join our elite force of day rate contractors or a permanent position. What can Atlas do for you? 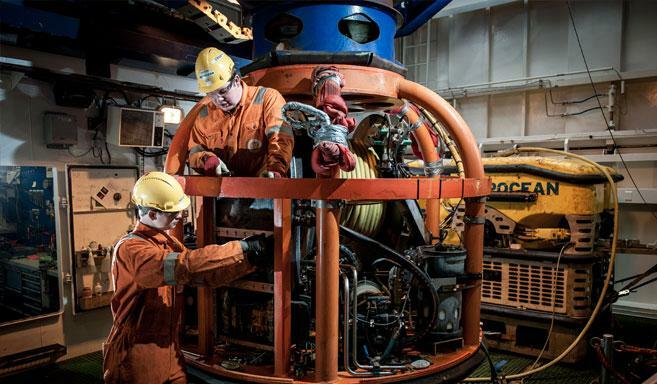 ROV personnel will need to have at least 150-200 hours of flying time and have experience and a good knowledge in either hydraulics, electrical or mechanical engineering. Divers, dive technicians and life support technicians will require relevant IMCA certification specific to their discipline. CSWIP inspection certificates or training in DMT carry significant advantages for offshore dive work. Inspection personnel will be expected to be trained to relevant levels depending on the levels applied for, for example CSWIP 3.4u, NDT and NACE or FROSIO certification. In addition to this, all candidates are required to have Basic Offshore Safety Induction Emergency Training (BOSIET), survival and offshore medical. However, our services are not only restricted to professionals with these certifications. Our ROV, Inspection and Dive team can assist you in gaining your competency certification through their contacts with third party assessors. The team will also help with appraisals after you have gained your certifications. As you will be working in a close knit team environment, strong communication skills, the ability to be a good team player and having the desire to learn new skills and immerse yourself in the project are some of the most important attributes you can demonstrate to our clients. If you feel that you have the skills and qualifications to apply for a role in ROV, Diving & Inspection, then we want to hear from you. At Atlas we value the people we represent, and we realise that everyone has a different story to tell. As such we always encourage you to pick up the phone and call us. However, if you are offshore drop us an email along with your CV and contact details. Don’t forget to tell us about your current employment situation and any restrictions on where you can work. Your nationality and country of residence. Qualifications – such as education, training courses & certificates. All your medicals, survivals, visas, vaccinations, country specific offshore documentation, software and equipment training courses – all with dates and expiries. Employment history – please detail this with most recent first, and every offshore deployment along with approximate dates, duration, role undertaken, software and equipment used and tasks. This allows clients to see how often you have worked with certain equipment or software and in what capacity. Dedicated equipment and software list – for quick reference. One of our team will then be in touch to get some further information from you including recent references you are happy for us to contact, and other pertinent information. Download the Excel Expenses Claim Form when working with the Banbury office. Download this timesheet when working with the Banbury office. Realtime up-to-date overview of all positions we're recruiting for within ROV, Diving & Inspection.